Tallawit Timbouctou - Hali Diallo. Vinyl LP. Bleep. 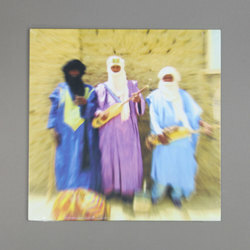 The wonderful Sahel Sounds come through with another gem of a release. 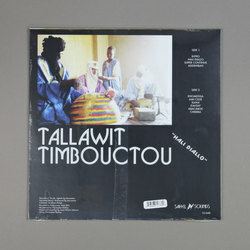 Tallawit Timbouctou are a band of musicians who play takamba, a style of traditional Malian music that may date from as early as the 15th Century. Led by the seasoned takamba veteran Aghaly Ag Amoumine, the Timbouctou group (hence the name) recorded Hali Diallo at home with a collection of homemade mics and distorted amplifiers. This high-wire recording style gives the drones and pounding calabash rhythms a frenzied, almost hypnotic quality. Fans of Inna Baba Coulibaly should step this way.